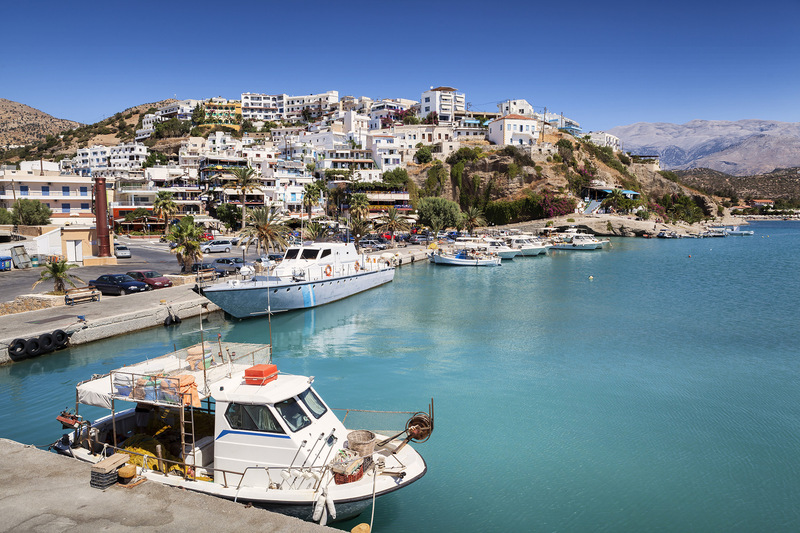 "Agia Galini" Greek for "St. Tranquility," is an apt name for this quiet village of about 650 people near the center of Crete's south coast, about 20 km up the coast from the famous hippie haven of Matala. The local legend is that a Byzantine Princess, on landing there, had prayed for, and gotten, a quiet sea for anchorage. Being on the south coast, the sea and weather here are nearly always peaceful, the climate ideally mild. Topographically, this scenic village is built like an amphitheatre into the slopes of three hills, and faces southeast. Its pretty little harbor sees a fair amount of yacht traffic during the summer. 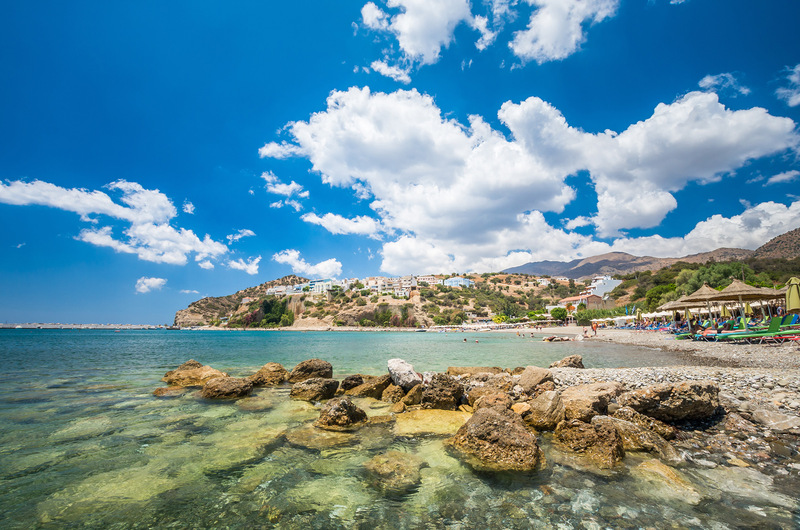 Agia Galini was one of the early tourist destinations of Crete, and the larger hotel buildings seem to dominate the picturesque little white, cubic houses of its year-round residents. The village has the traditional narrow streets suitable for wandering, and the villagers are by and large friendly and hospitable. 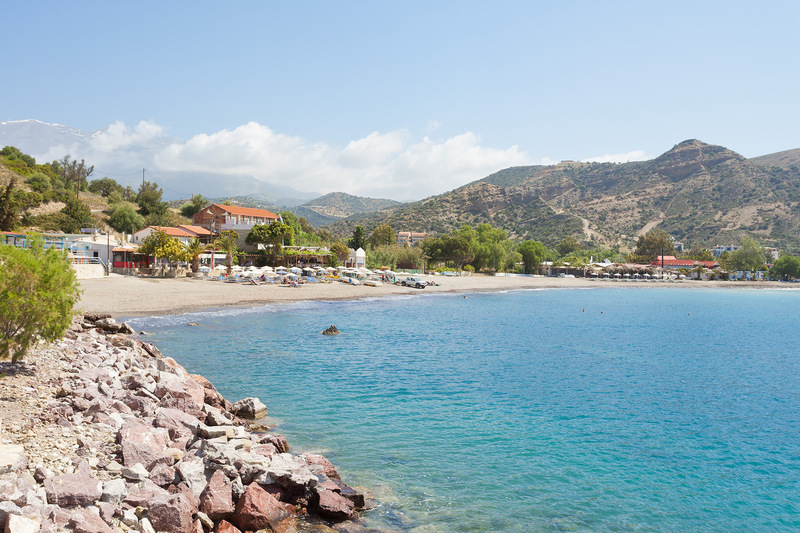 The beaches are very nice, although small, with cafes close by. The tourist infrastructure is well-organized. There is a surprisingly lively bar scene, and some nice live music, but the noise is limited to one end of the harbor, so it doesn't disturb the peace so much. But this is not the place to go to if your thing is discos and lively night life. The residential streets are un-named (although certainly the locals have names for them), so you have to remember where you are going by landmarks. The main street, however, is called Venizelou, and holds most of the town's businesses. There are a lot of dolphins in the area, and dolphin excursions are a regular feature for visitors. For fun, you can take the bus to Matala, 20 km down the road. Every summer tens of thousands gather for a conclave commemorating the stay of hippies there in the late 60's-early 70's, featuring lots of bands. The view of the harbor at night is spectacular in its own, pocket-sized way. 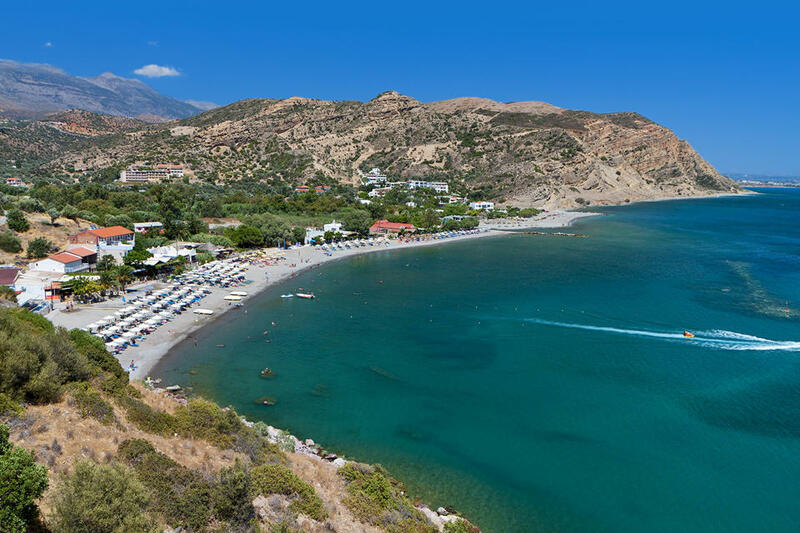 The rock above the harbor affords an excellent view with several restaurants catering to your needs. 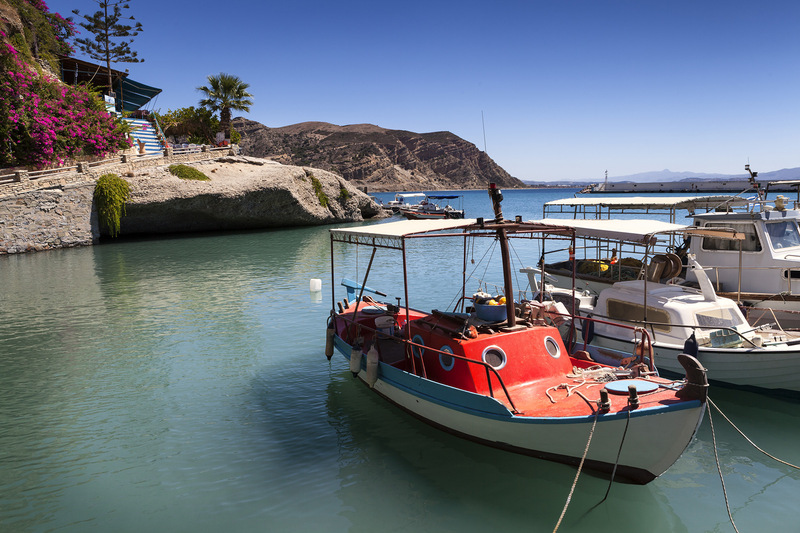 All in all, this unspoiled corner of Crete makes for a very pleasant holiday.